My husband is hard to please when it comes to flashlights, they aren't bright enough, the batteries go dead quickly, replacement batteries cost too much....the list goes on and on. 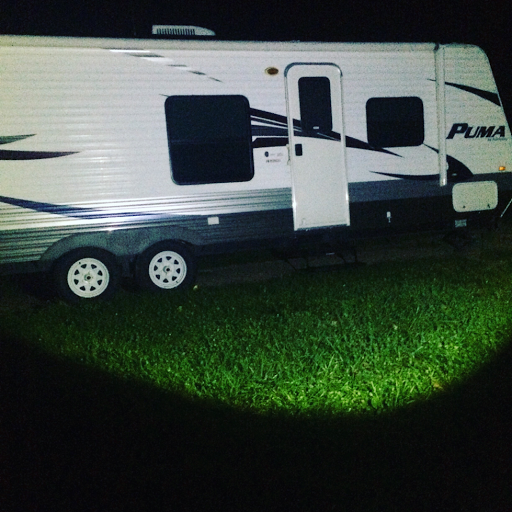 So when my husband decided he liked this flashlight I knew we had a winner! 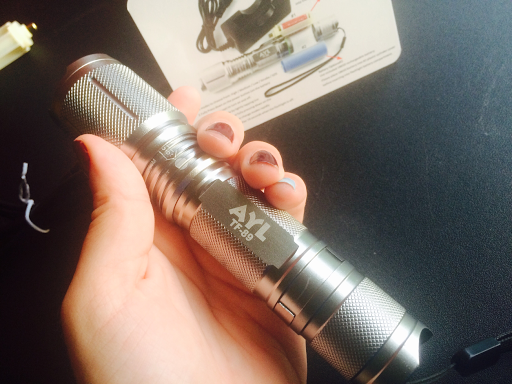 This AYL 900 Lumens CREE XM-L2 LED Tactical Flashlight is small in size. So small in fact that when we received it I was disappointed because I was sure that it wasn't going to be what we thought it was. However this small flashlight surprised me by how powerful it actually is. Yes, that light is coming from this flashlight. 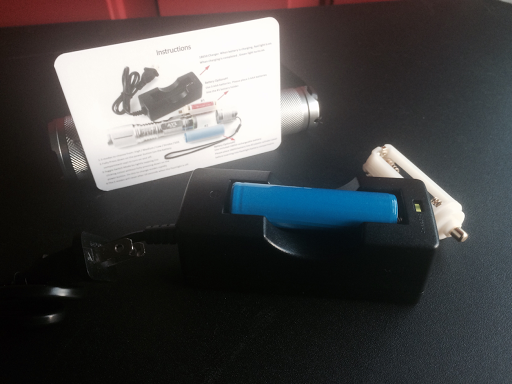 So this means that you can have a small and lightweight flashlight that is powerful. Another great thing about this flashlight is that it comes with a rechargeable battery or you can use disposable batteries if needed. The rechargeable battery holds its charge and lasts for quite a long time. I did receive this item free of charge in exchange for my unbiased review. All opinions in this review are my own.